While most of America recognized March 30 as the first day of spring, the people of Lexington, KY did not. They’ve been waiting for April 4: the official start of Keeneland’s 2019 Spring Meet—and the unofficial start of spring in horse country. There is no strict dress code for general admission to Keeneland, but most Lexingtonians see the Spring Meet as the time to break out their best, brightest seasonal attire. Think colorful sundresses, jackets, bow-ties and hats, and, of course, any outfit that pays homage to the almighty Big Blue Nation. While many women have been known to brave heels, tailgaters would be better off wearing flats, wedges or boots, lest they wish to spend the day aerating the lawn. The Clubhouse has a more strict dress policy. Suits and ties are required for men, and jeans are not permitted. From our hotel, Keeneland is pretty much a straight shot down Versailles Road, about 15 to 20 minutes without traffic. If you plan on drinking, you should absolutely take a Lyft, Uber or taxi. Keep in mind that the Spring Meet is a popular time, so prepare for longer than usual wait times and surge pricing. If you’re tailgating, we recommend entering through Gate 1, Gate 4 or Gate 5 to park near The Hill. You can park closer to the Grandstand through Gate 2, but these spots go fast and are difficult to come by. Click here for a Keeneland parking map. Weather permitting, there’s no better place to tailgate than On The Hill. 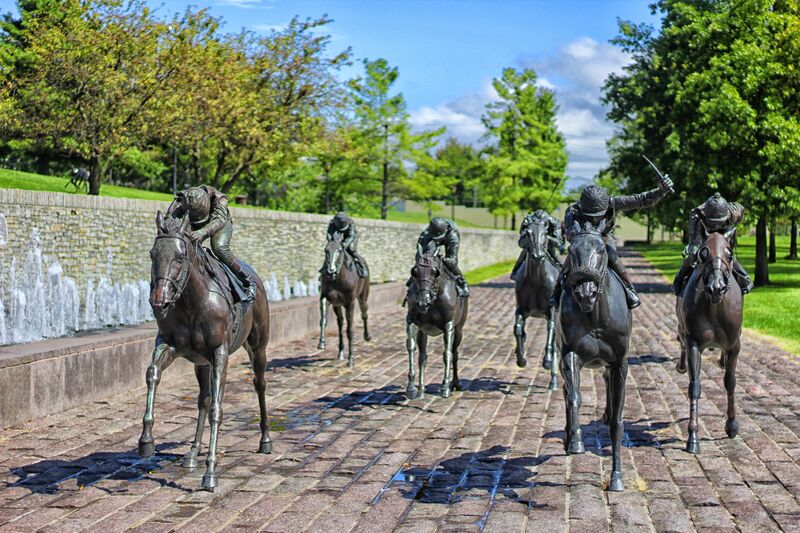 It offers a stunning view of Keeneland, with its iconic black fences and rolling grass hills. Though we highly recommend going into the track, some people choose to stay On The Hill all day. We cannot stress this enough: you must try a Keeneland Bloody Mary. Maybe it’s the proximity to Kentucky limestone, the magic of the track, or the aligning of all the stars and planets, but the Keeneland Bloody Mary is in a league of its own, and you would be remiss to skip it. Snack-wise, the burgoo isn’t an obvious choice, but it’s the right one—especially if you’re going for the full Keeneland experience. Too hot for stew? Try a corned beef sandwich (or any sandwich, for that matter) from The Paddock Carvery. If you can’t decide what to eat for dinner, head to the The Lexington Distillery District, located a short five-minute drive from our hotel. Housed in the historic, once-abandoned James E. Pepper Distillery campus, the Distillery District has been revitalized to include a plethora of local eateries, distilleries and breweries. Middle Fork keeps a seasonal menu of unique shared plates, dips, charcuterie boards and more. Goodfellas is, as its name suggests, good New York style pizza. End your night at the Lockbox bar with a flight of 21c Selects, the perfect nightcap to your Keeneland weekend. 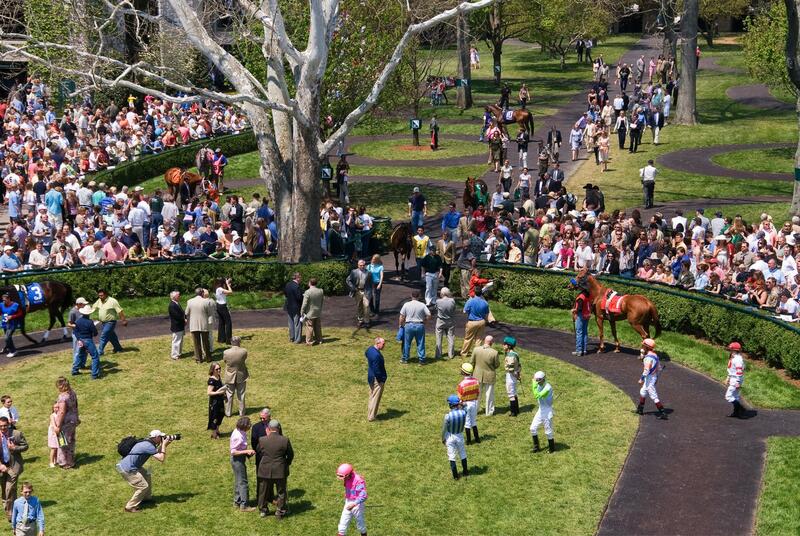 Ready to book your stay with us for the Keeneland Spring Meet? Click here to book your room.